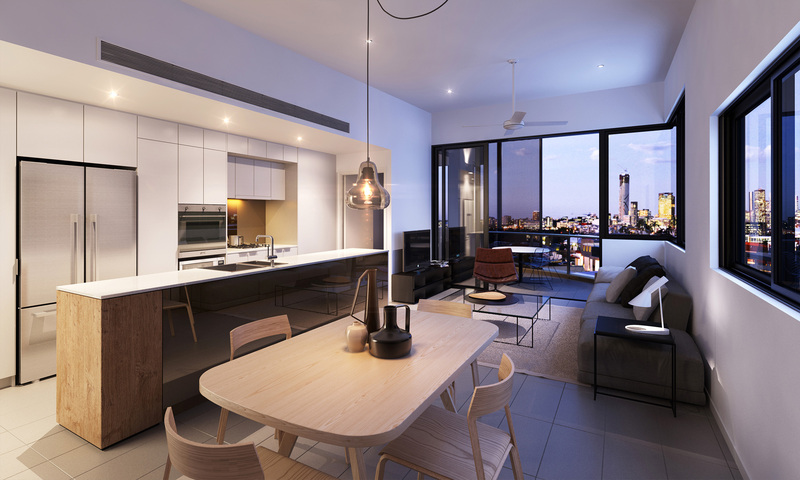 The Glass Factory is imbued with local colour and history, retaining a sense of connectedness to what is one of Brisbane’s oldest and most vibrant suburbs. 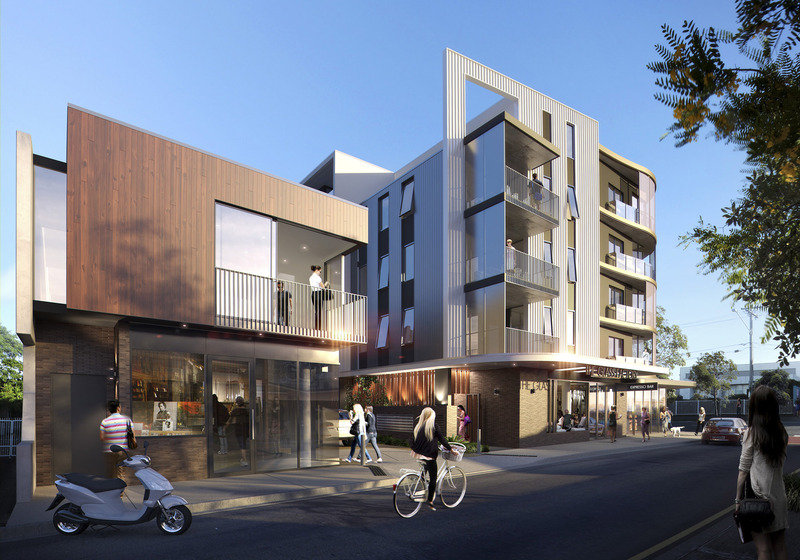 The site at 57 Vulture Street offers a unique opportunity to reinvigorate an industrial site within the Boundary/Vulture Street precinct. 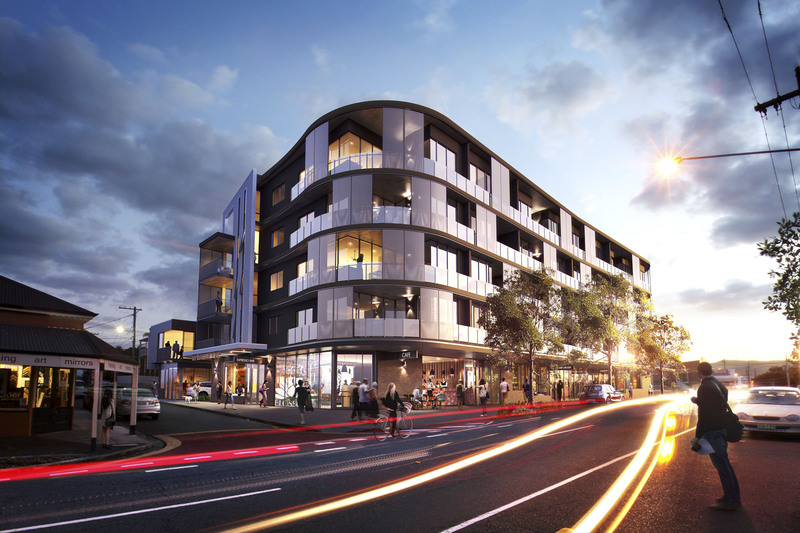 The development of the site into a lively mixed-use precinct allows for an integrated approach enabling for a seamless transition to the character residential precinct directly behind. 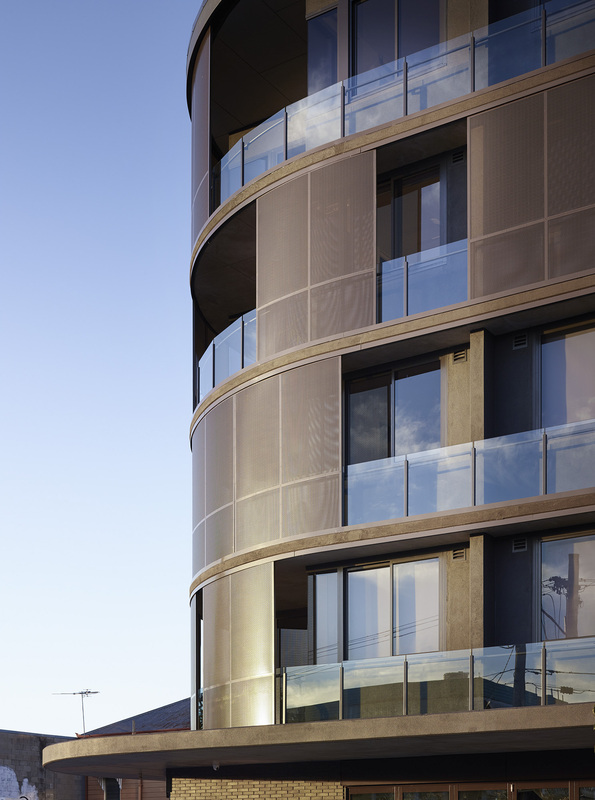 The architectural design seeks to exemplify the eclectic nature of traditional building forms within the West End peninsula, and provide a contemporary interpretation of the varied styles and typologies represented. 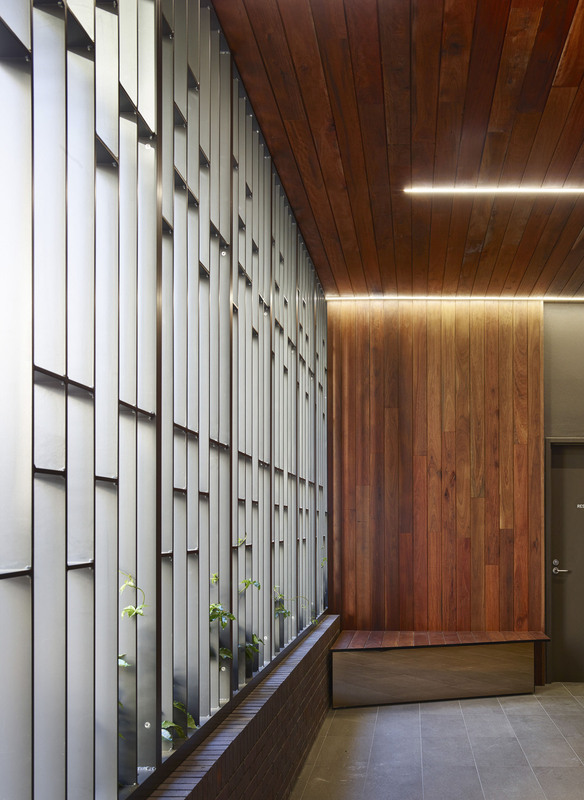 The resultant architecture becomes a singular, cohesive and respectful addition to what is a highly desired location for living, working and playing. 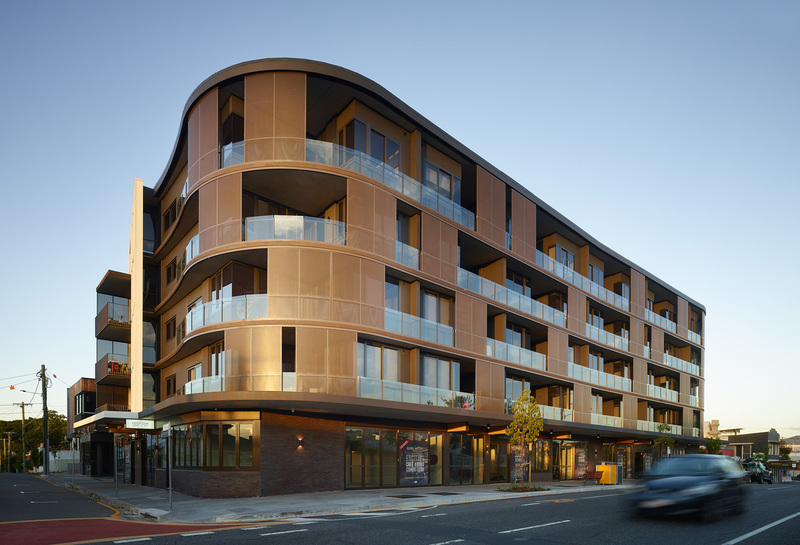 The context of West End provides a rich source of inspiration both in terms of the physical form of the streets and architecture and the rich and diverse social mix of residents and visitors alike. 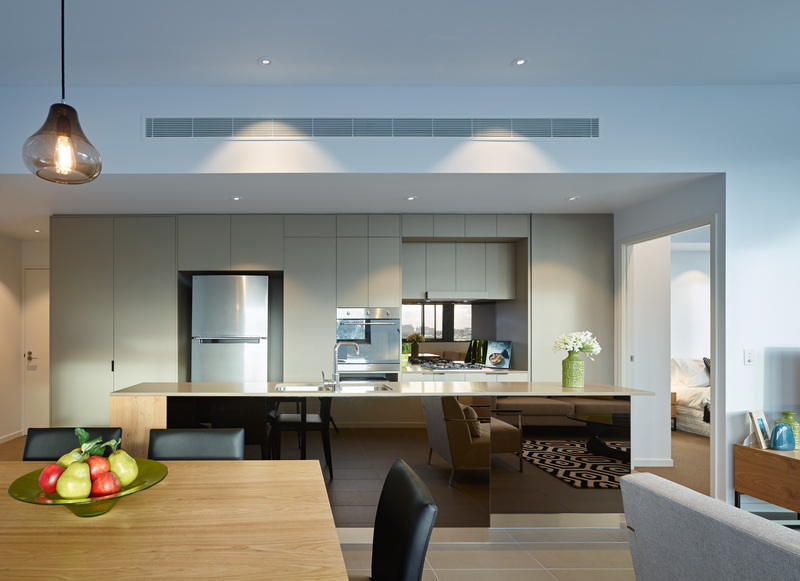 This has been informed by a long history of both indigenous and migrant habitation which combined; offer an extremely individual and bohemian character to the suburb. This cultural collision is truly unique within Brisbane and deserves acknowledgement as a key driver of the architectural approach to the site. 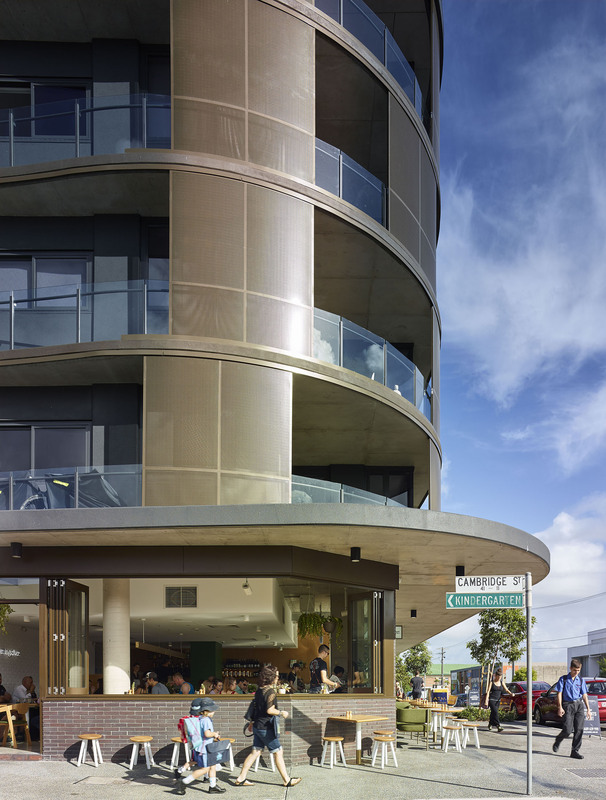 Inspiration for the warm material palette and rich bronze tones have been taken from a study of the qualities of this particular section of Vulture Street and the physical approach to the site. Moving along the street towards the river during the sunset hours of the day, the due west orientation allows for an intense and dynamic sense of colour to be experienced. Combining with the glare off the Western Ranges towards Mount Coot-tha, this truly unique Brisbane sunset experience is rich in warm oranges and browns. The palette of the building has been directly derived from this obvious and potent reference. 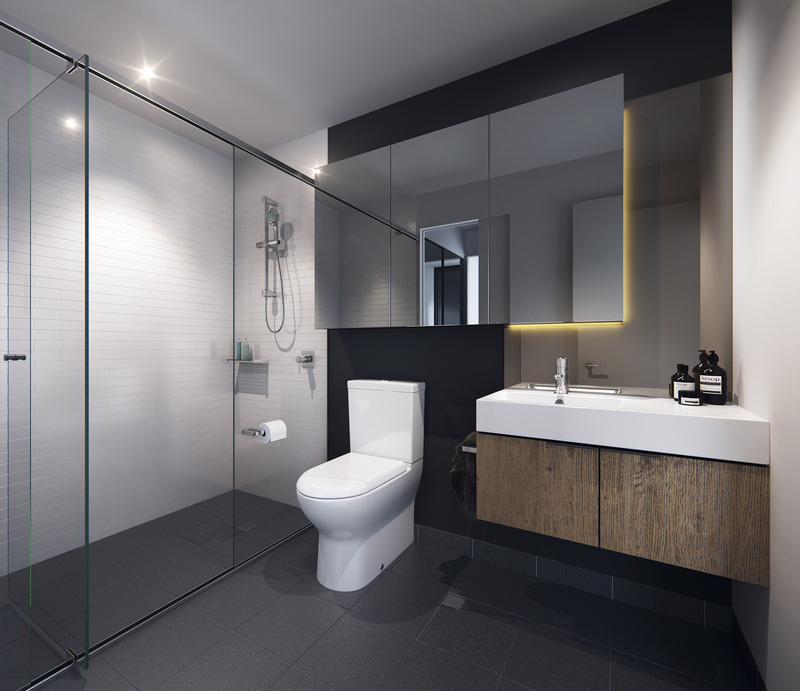 Within The Glass Factory’s interior, a sophisticated industrial chic mood has been created that acknowledges West End’s heritage and draws that inside in a contemporary way. The tone-on-tone palette gives a luxuriously raw and layered feel with subtle references to the site’s glass-making history throughout. 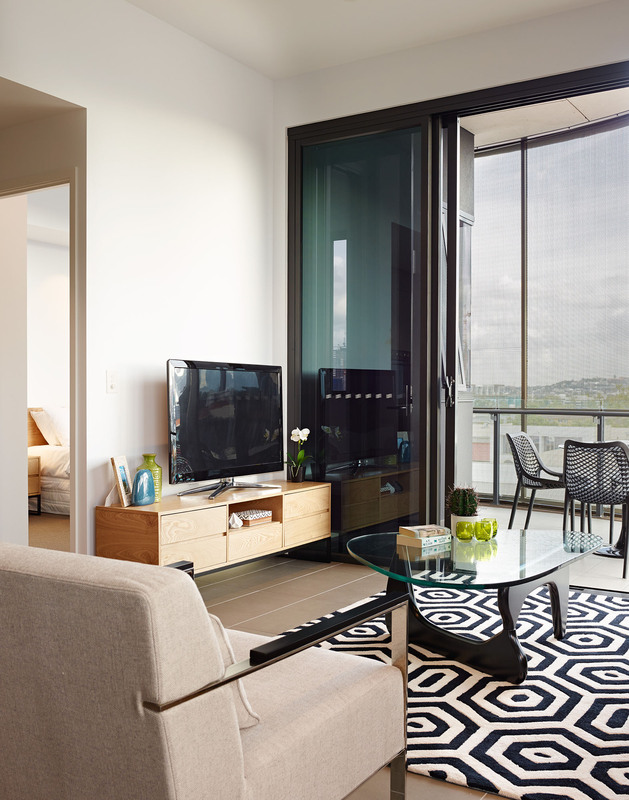 An oversized transparent bronzed glass pendant makes a striking central statement, while mirrored bronze details bring the great views and Mt Coot-tha sunsets into the heart of the apartments.